Most teams can’t come back after trailing by four goals after 20 minutes. The unified Korean women’s team was no exception, falling 8-0 to Sweden on Monday. 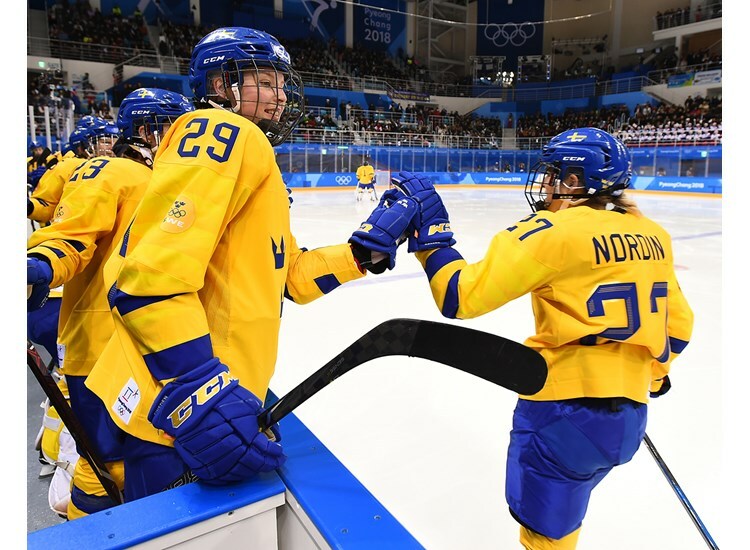 "The biggest thing you can do is to win an Olympic medal, so that would be an amazing feeling to do that again," said Swedish assistant captain Pernilla Winberg. "But we're here to take it one game at a time." Winberg led the way with two goals and an assist, and Elin Lundberg added a goal and two assists. Emma Nordin notched a goal and two helpers. Maja Nylen Persson, Johanna Fallman, Erika Uden Johansson, and Rebecca Stenberg also scored for Sweden. Fanny Rask, Erica Grahm, and Emmy Alasalmi had two assists apiece. Forward Jiyeon Choi, who had one of Korea's best chances, said: "If I had scored, it could have made a big difference to our team. An 8-1 score is much better than 8-0 for us. If I had scored, it would have inspired our team to play even better." "We definitely want to beat Japan," said Jiyeon Choi. "There are two big reasons. One, we've never beaten them before, so if we can beat them at the Olympics, it will be our biggest victory ever for the Korean people. Second, Japan and Korea have a complicated history, so a win would have special meaning for our people." "It was a good crowd out there, and it was cool to see how people were cheering them on, but I think we did a good job and worked every shift really hard," said Winberg. Korea generated pressure during two subsequent power plays, but couldn’t deliver any results beyond more screams from the crowd. "They had some good PP there," said Winberg. "They had a couple of good shots. Our goalie played really well." Sweden went up 6-0 at 1:09 of the third period when Nordin tipped in Lundberg's high point shot. At 1:45, Winberg pivoted in the faceoff circle and her shot was accidentally deflected in by Korea's Randi Heesoo Griffin. It was just that kind of night for the representatives of the Land of the Morning Calm. On the rush, Stenberg converted Winberg's beautiful cross-ice feed at 5:34 to round out the scoring at 8-0. A Swedish proverb says: "Attack is the best defence." It was hard to argue with that here. "I think the teams that have the best chemistry and team spirit are going to win the medals," said Winberg. "We have a lot of fun together off the rink and on the ice. Everyone likes each other, so I think that's what makes us strong together as a team."